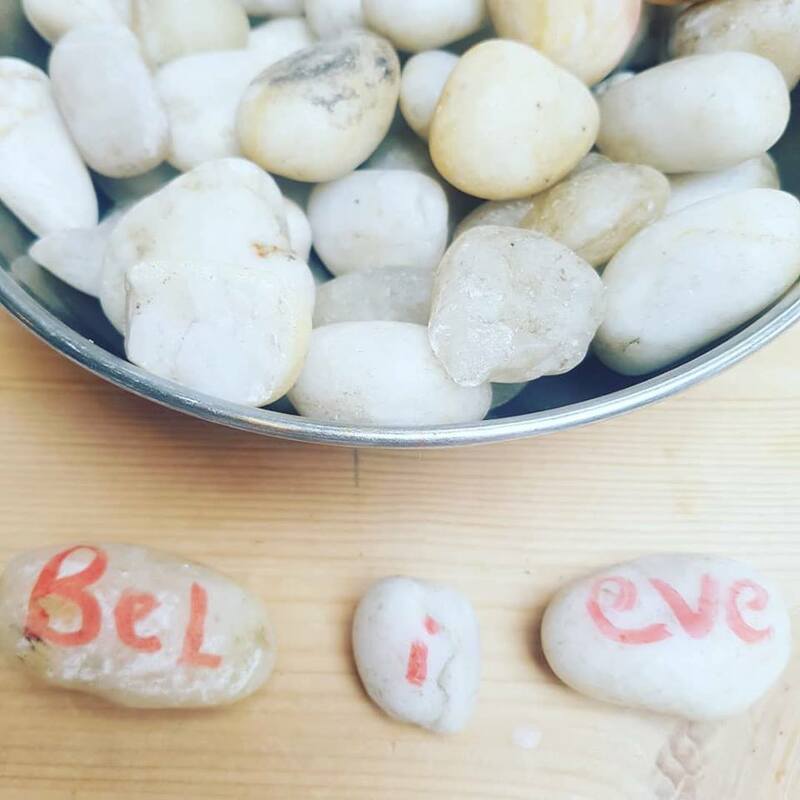 In our workshops, we love to chunk up words, and pebbles are a fantastic sensory and visual object to root your memories within. We have learnt that every syllable has a vowel in it – that can really help when sounding out/chunking words, as it helps you know where to split the word. The pebbles also feel good in your hands and you feel relaxed and soothed while learning your spellings. Small ones can be used for consonants, to practice blending those tricky sounds, and larger pebbles can be used for chunks of words – syllables. Talking through this process, and finding the right pebble, is a really key part of the process. Talking about strategies helps you remember them and, most crucially, demystifies a process that can feel a bit overwhelming. There is something much more important than spellings going on here though. Most importantly we learnt to believe in ourselves. Belief in oneself is the key to opening all our learning doors. This young learner took these stones home to put on her window sill. To remember the spelling strategy, yes. To look at the stones and remember her sense of pride and belief in herself – oh definitely yes! And they have pride of place already right next to her ‘I am awesome’ picture. Thank you for giving my daughter a love of literacy.